I know every player's dream is to create a family and to live peacefully. Install Boyfriend Addon, and then you make another step towards your dream, but if you're a girl. The addon allows you to get married to Steve and use it as a companion. The main purpose of the addon is to change the normal weekdays. Your husband may be used as additional inventory, so you can give things for storage. Unfortunately, but this feature is only one at this time. Your husband is nothing else can do as well as in real life. If you're a boy and you want to have a girlfriend then download the Girlfriends addon. It will allow you to marry one of the five beauties. The wife may perform more actions in contrast to husband. For example, in addition to inventory, the wife can exchange marriage contracts with you. Other features here. 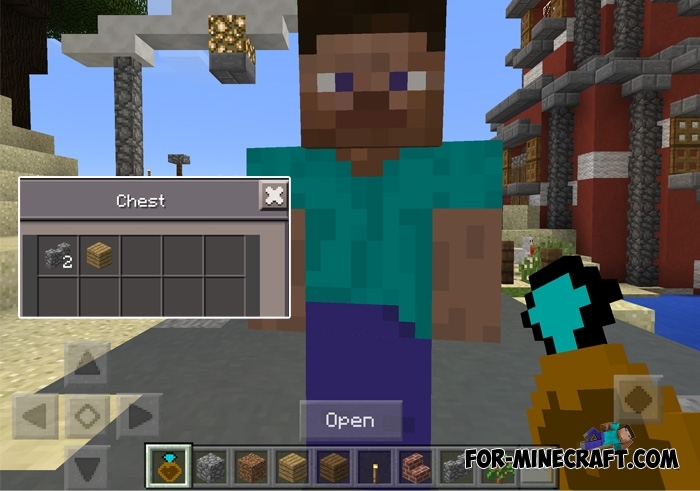 In total, you can turn the Minecraft PE into the Sims game using these two addons. How to install the Boyfriends Addon? Girlfriends Addon v2 for Minecraft PE 1.0/1.9The Girlfriends Addon will allow you to marry a beautiful girl (or several girls at once)..